DT Research is an early Mobile Tablet pioneer and leading designer and manufacturer of purpose-built computing systems for vertical markets. The company delivers the world’s most comprehensive line of Rugged and Industrial-grade Tablets, Mobile POS Tablets, Digital Signage Systems and Medical Computing Solutions. DT Research products are uniquely designed with customizable options built-in and assembled in California, providing customers with rapid time-to-market solutions. The DT Research family of products is based on embedded computing platforms that power secure, reliable and cost-effective computing. DT Research systems offer computing mobility within industrial and harsh environments through durable solutions with wireless connectivity, high-quality touch displays powered by Windows operating systems. More than 200 organizations across the globe rely on DT Research solutions in industries such as government, healthcare, hospitality, logistics, military, retail and warehousing. 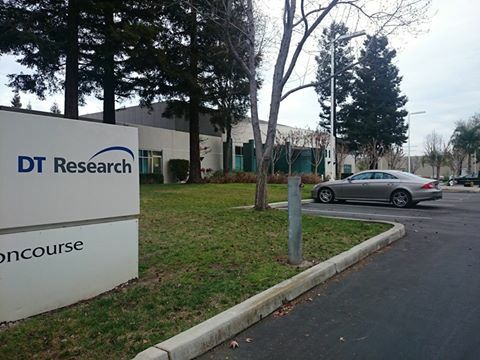 DT Research is headquartered in Silicon Valley, California with offices in China and Taiwan. For more information, visit www.dtresearch.com.